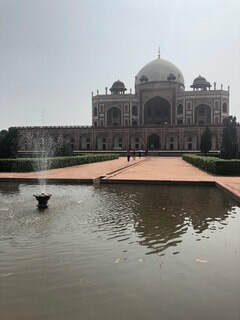 During this summer, I travelled to India for three weeks to research the country’s nuclear strategy and specifically, what could potentially lead to an Indian-Pakistan nuclear conflict. This research was interesting as it helped me gain a different lens through which to view this conflict. Prior to my departure, I had discussed this topic with U.S. scholars who primarily held the view that this bilateral conflict is a nuclear “flashpoint” and one of the most likely potential nuclear conflicts that may materialize. However, the scholars that I interviewed in India all held the view that this conflict is unlikely and offered several different perspectives on how this bilateral relationship could be differently understood. Nuclear issues have always been a significant academic interest. While many of my courses have primarily focused on U.S. nuclear strategy, I wanted to look at the global nuclear order from a different lens. Professionally, I have enjoyed monitoring U.S.-India issues and Indian domestic policy. By analyzing the Indian-Pakistan nuclear conflict, I was able to combine an academic subject that I have always been interested in with a contemporary regional focus. 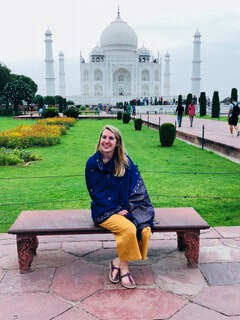 I also focused on India as I believe I will have a more thorough understanding of global nuclear relations by researching nuclear issues from a non-U.S. perspective that I will be able to effectively apply to my academic courses. 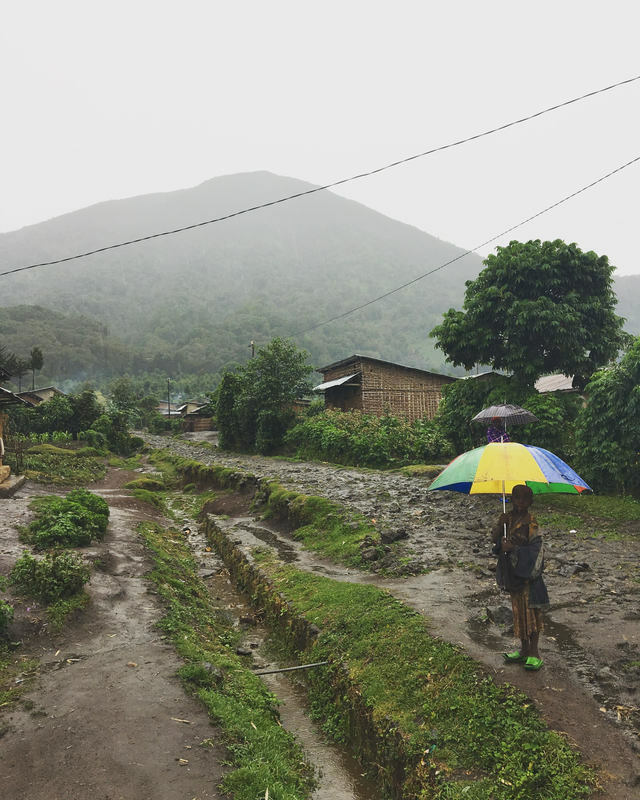 The biggest lesson that I took away from this experience is to always consider the importance of local perspectives. Had I not had the chance to talk directly to Indian scholars on this subject, I would have only had a partial understanding of the topic. However, once I met with scholars in India, my whole perspective on the issue changed. Many of these scholars asserted that India’s real nuclear threat comes not from Pakistan, but from China. While I have always understood that China’s strategy and nuclear capabilities would undoubtedly affect Indian nuclear strategy, it was significant to me that the local perspective largely pointed to the Indian-China relationship as comparatively more concerning. As I continue to think about global nuclear issues, and international relations in general, this experience was a welcome reminder how locals will likely view the issue differently than we may in Washington D.C. and the importance of understanding the origins and merits of these views. 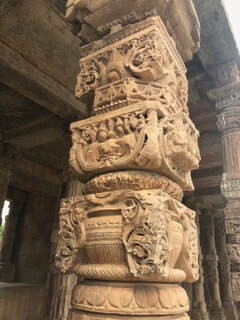 What are two interesting things about India that the average person doesn’t know? 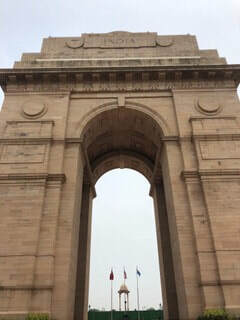 One interesting thing that I learned during my trip was a new perspective related to U.S.-Indian relations. 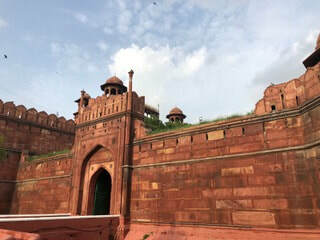 While news outlets and policymakers can be quick to criticize certain aspects of Indian foreign policy, one scholar during my trip offered the view that the U.S.-Indian relationship has only been significantly strengthened throughout the last decade. Therefore, instead of treating India as a partner that the U.S. has had for hundreds of years, it must think of its relationship with India as comparatively nascent. I agree with this assessment and believe that this should form the baseline from which we can understand the U.S.-India bilateral relationship. Another interesting thing I learned was the importance of the Hindu culture in India. I had previously been largely unexposed to Hinduism, but was able to explore various aspects of the religion during my time in the country. One interesting fact that I learned is the cities that end in the suffix “pur,” such as Jaipur, Jodhpur, and Udaipur, usually denote that they were previously ruled by a Hindu leader. On the contrary, cities that end in the suffix “abad,” such as Islamabad or Hyderabad, were usually ruled by a Muslim leader. I spent the month of August in Rwanda where I carried out independent research on the lingering challenges of post-genocide security. I spent the first half of my trip building a foundational understanding of the genocide’s impact on contemporary security policy, and aimed to uncover the friction between macro and micro politics of national unity and reconciliation. 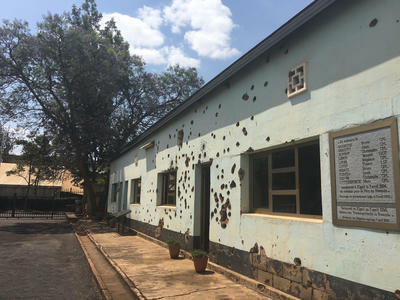 During the second half of my trip I headed to the DRC border where I honed my research on one of the most pressing post-genocide security issues: the disarmament and demobilization of combatants from the Democratic Forces for the Liberation of Rwanda (FDLR). The FDLR is one of the last remaining groups of génocidaire forces still active today in eastern DRC. I gained a firsthand understanding of the government’s efforts to demobilize and reintegrate members of the group while spending time at the Mutobo Demobilization Center. 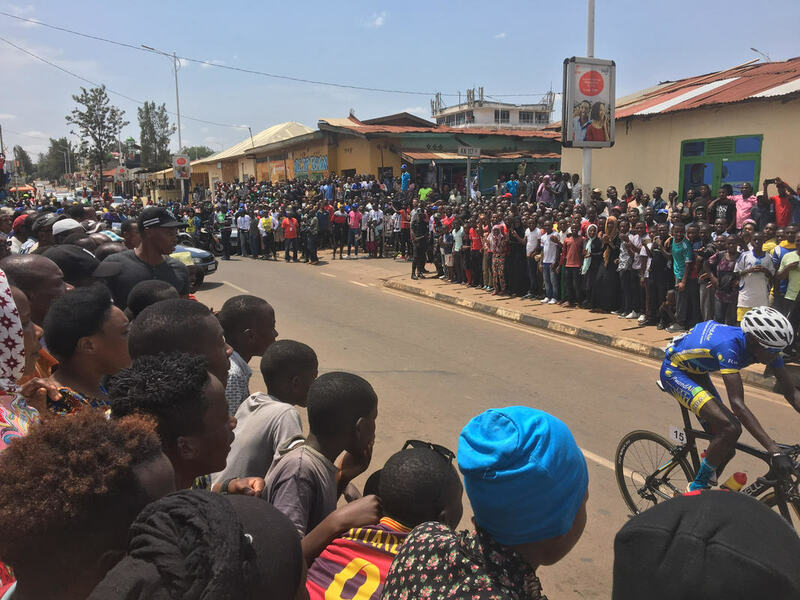 Mutobo is the first stop for disarmed combatants who have returned to Rwanda after fighting for more than two decades in North and South Kivu. At the center ex-combatants spend three months undergoing trauma counseling, learning about post-genocide reconciliation, contemporary Rwandan society, and receiving vocational training to prepare them for a fresh start in their native country. They also play an active role in disarming their former comrades by aiding in the development and dissemination of counter-propaganda narratives. By combating the anti-Rwandan disinformation and genocidal ideology spread by their former commanders, these ex-combatants become a critical component of the government’s efforts to disarm and repatriate the FDLR. My time in Rwanda has allowed me to gain remarkable insight into a complicated post-genocide security landscape, insight I could not have gained in the classroom or the library. 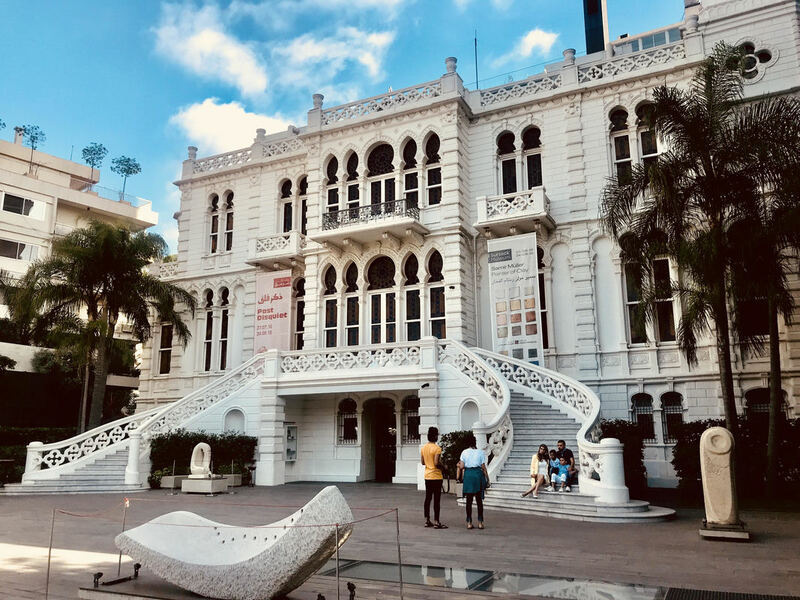 More generally, the opportunity to do original research overseas has equipped me with knowledge and confidence that will be invaluable to my future work at SSP and beyond. The Rwandan Genocide was the first geopolitical event in my lifetime that caused me to ask questions. I remember not only the deep emotional reaction, but also the intellectual challenge it posed as my young mind grappled to understand how and why such a thing could happen. Overtime, the impact of the event never dissipated and I believe it ultimately played a significant role in my decision to pursue foreign affairs. It felt that a fitting component of my education at SSP, be a trip to Rwanda to dig deeper into the genocide’s history and the lingering challenges it poses to the country’s domestic and regional security. Some of the most valuable learning happens when you least expect it. When doing research abroad, do not discount the possibility that a casual discussion with your seat mate on the bus, might be just as valuable as a formal interview. I learned the importance of remaining curious, adapting to the unexpected, and always saying ‘yes’ to an invitation to try something new. 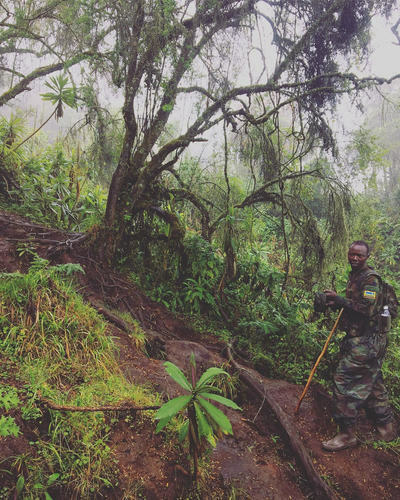 I gained valuable perspective on the local politics of memorialization and reconciliation during a bike ride over the Congo-Nile trail; I came to understand the challenging terrain in which FDLR operates while trekking in the Virunga mountains; and I learned countless lessons about culture, history, and politics during casual chats with a waiter, taxi driver, or curious passerby on the street. When conducting research abroad, make sure to leave time in your schedule for these unexpected adventures and encounters. How has this experience impacted your research practice? This summer, I conducted research in Beirut, Lebanon, where I spoke with representatives from various small and medium sized Syrian NGOs working in the Beirut area about their peacebuilding work as well as the most significant security threats they faced. The security and legal situation for Syrian NGOs operating in Lebanon is tenuous at best, and for many groups it poses a constant risk of deportation and fines. This meant that many individuals were uncomfortable or unauthorized to substantively discuss their work with me, knowing my intention to publish what I learned. I did however speak off the record with individuals from Lebanese and Syrian NGOs, and officers from the United Nations High Commissioner for Refugees working with Syrian refugees. Many organizations are in limbo as they map out how they can continue their work strengthening Syrian civil society with President Assad’s continued presidency. Individuals also expressed concern over the Trump Administration’s inconsistencies when it comes to U.S. engagement in Syria, with one person informing me that the belief among many Syrians is that Trump has ceded all influence regarding the outcome in Syria to Russia. Yes. 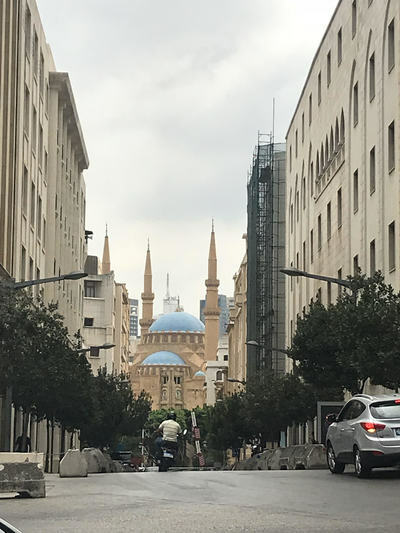 I wish I had realized in advance that Eid al Adha (the second [and holier] of two Islamic holidays celebrated worldwide each year) fell during my time in Lebanon. While my timing was limited due to summer classes, I would have flagged this for those I planned to meet to ensure they were in town over the holiday week. The difficult thing is, often the exact dates of Eid are not decided until about a week before the holiday, because they are determined by the lunar calendar. Fortunately, this only impacted two of my planned meetings, both of which were rescheduled to be held over Skype after I returned to the U.S. I decided to conduct research in Lebanon because it’s a country and region I have a professional history with. After graduating undergrad I lived in Lebanon for a period of time, and, for the first five years of my career worked at an international peace and security NGO where I focused on the Syrian conflict, facilitating trainings for Syrians in Lebanon and Turkey. 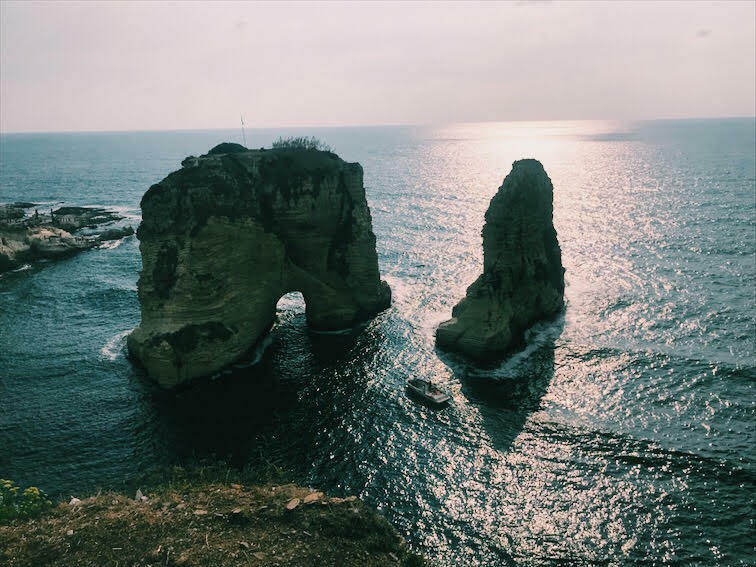 The SSP research grant allowed me to return to Lebanon and explore how people living in the country understand not only regional and national security, but also what they perceive as the greatest threats to their individual security. I was interested in understanding this because, in Washington, DC, security is, necessarily, often discussed on the macro-level. I believe it is important to incorporate the experiences of individual people, and take them into consideration when developing policy solutions. I expected the prominent security concerns of Lebanese and Syrians living in the country to be the war in Syria and the fragile peace with Israel. Instead what I found is that most of the people I spoke with - Lebanese and Syrians living in Lebanon - are most threatened by economic insecurity. Almost fifty percent of the state’s GDP comes from combined foreign aid and remittances. Many Lebanese, for better or for worse, live above their means, taking out a plethora of loans to purchase items ranging from luxury cars to elaborate weddings. Accounts of the unemployment rate vary significantly, with some regions reporting as high as 53% unemployment. The state is wholly unequipped to deliver basic services to its population, never mind the over one million Syrian and Palestinian refugees in Lebanon. Based on conversations, my biggest take away is that if statewide conflict does erupt in Lebanon, the cause will be economic issues, not violent extremism or conflict with Israel. I just returned from an 8-day trip to Macedonia and Montenegro to conduct research on those countries’ NATO ascension plans. While there, I had the opportunity to meet with and interview the Head of Policy and Planning for the Macedonian Ministry of Defense. It was a whirlwind trip that included visits to Croatia and Kosovo – in all, I visited four of the seven countries which comprise the former Yugoslavia. Although brief, my trip gave me the opportunity to experience the culture and history of the region while gaining insight into these NATO members’ policy-making processes. I have held an interest in the region for a long time, starting with my undergraduate concentration on the breakup of Yugoslavia. Macedonia and Montenegro prove unique case studies within the former Yugoslavia, as these two countries seceded relatively peacefully and avoided to a large degree the ethnic conflict which plagued many of their neighbors. However, Macedonia did through a brief civil war in 2001 between rebels from the ethnic Albanian minority and the government. While I was traveling through the former Yugoslavia, I could see for myself some of the effects of the violence and unrest of the recent past. During a drive, my Macedonian guide described to me how the highway we were driving on was used by tanks during the Macedonian civil war to move Macedonian troops to counter ethnic Albanian guerrilla attacks. 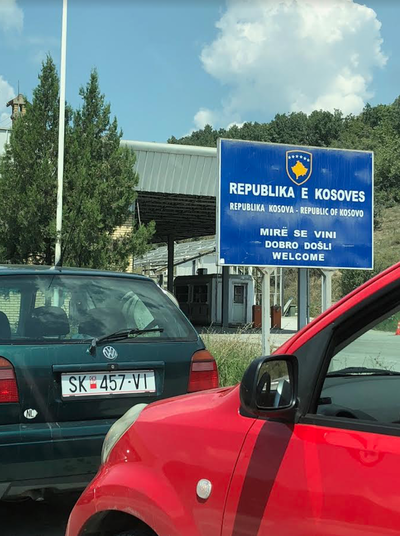 As we drove down this highway, my guide pointed out the Albanian-majority towns which proudly fly double-headed eagle Albanian flags, a symbol which was banned until the civil war ended. In Croatia, a shop hit by Serbian bombs in 1991 had erected almost life-sized images of the bombed-out street on the walls of the shop that stands there today. 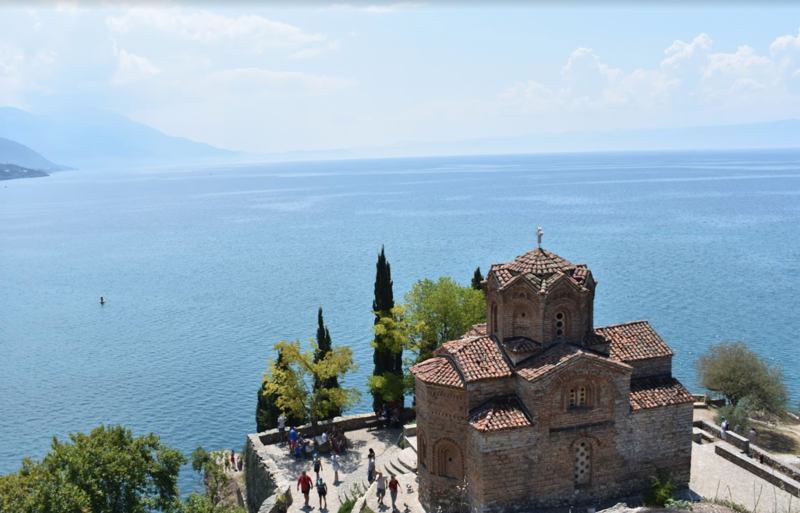 When planning this research trip, I knew I wanted to study the impact of proposed NATO ascension for Macedonia and recent NATO ascension in Montenegro. I wanted to focus on how NATO membership affects these countries’ relationships with Russia. Both Montenegro and Macedonia have recently alleged that Russian intelligence has interfered with its democratic processes. Macedonia and Montenegro have made clear that their ascendency to NATO membership ties into a broader national strategy to align themselves with Europe and the West, away from Russia. With the future of NATO a pressing security policy topic in 2018, I am grateful for the opportunity provided by the summer grant to go to Macedonia and Montenegro for a first-hand look at the newest NATO members. 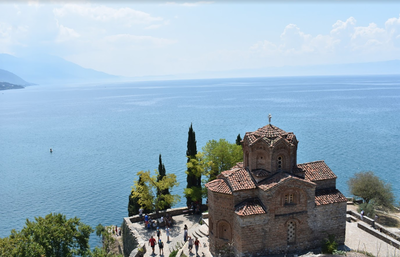 What are two interesting things about Macedonia and Montenegro that the average person doesn't know? The previous Macedonian administration embarked on a revitalization program to make the capital, Skopje, a tourism hub for arts and culture. This program, called Skopje 2014, funded the construction of at least 136 statues, museums, and government buildings within Skopje. These public works projects are estimated to have cost over $700 million USD before the subsequent administration cancelled the program in February 2018. 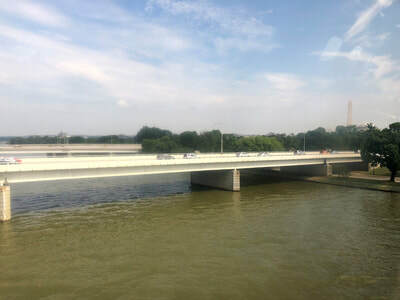 Many Macedonians objected to the skyrocketing costs and garish styling of the public works, with current prime minister Zoran Zaev labeling the program “an idiotic project”. However, some of Macedonia’s most recognizable landmarks, like the Archeological Museum and the Warrior on the Horse (Alexander the Great) Statue, were funded in part by the project. 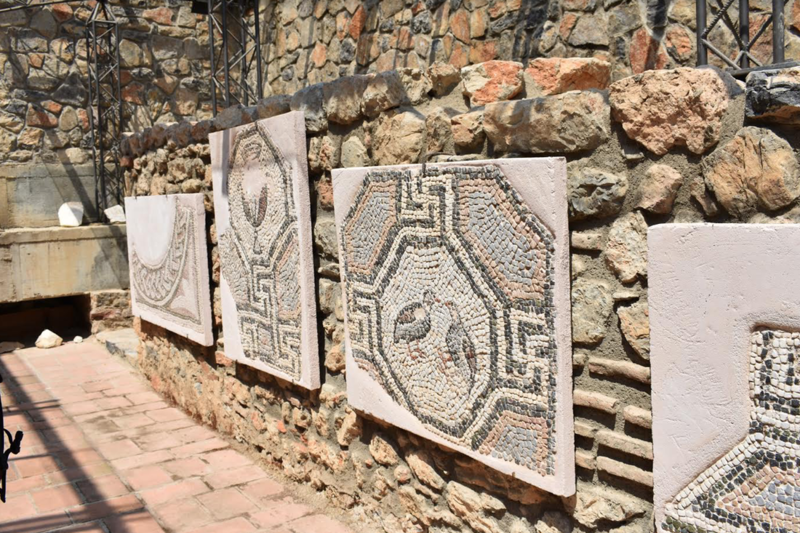 Whether the project is, as critics claim, a zealous exercise in Macedonian nationalism or a just a pricey attempt to remake Skopje into a world capital for arts and culture, the abrupt cancellation of the project left abandoned construction throughout downtown Skopje. The main square is imposing and grand, guarded by the Warrior on a Horse on one end and the Phillip the Macedon statue on the other, but is lined with abandoned half-constructed buildings on either side. 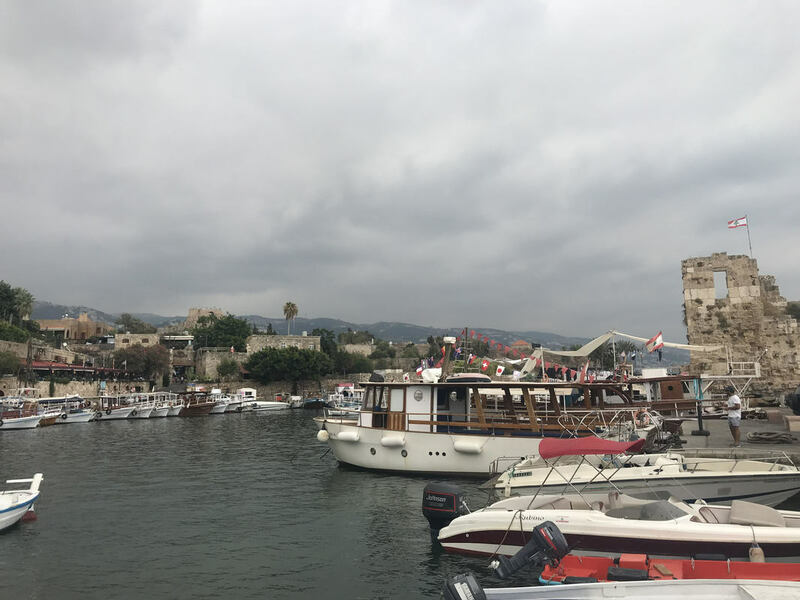 The New York Times recently ran an article calling Skopje “the Capital of Kitsch”, and I can confirm the oddity of the sight of pirate ships docked in a shallow river… in a landlocked country! Montenegro is currently experiencing a tourism boom, which is diversifying their usual tourist composition of Russians and Serbs. 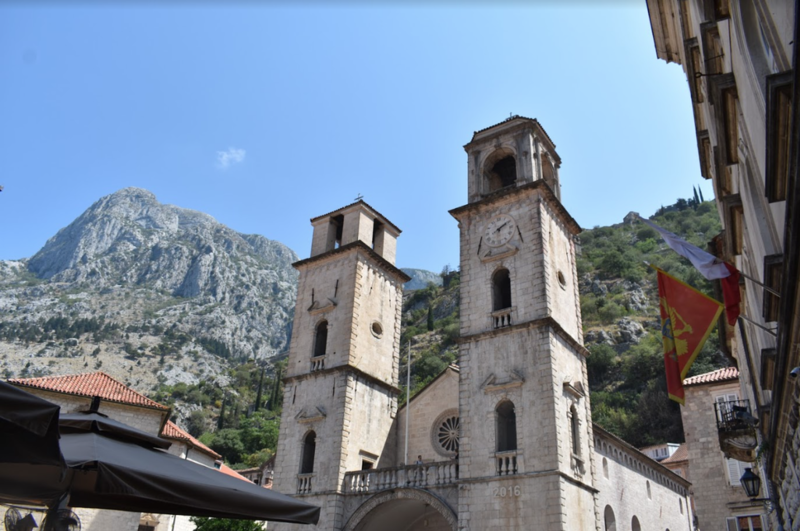 Montenegro has long been a holiday hotspot for Russians: almost everyone I encountered addressed me in Russian first, presuming I was Russian. 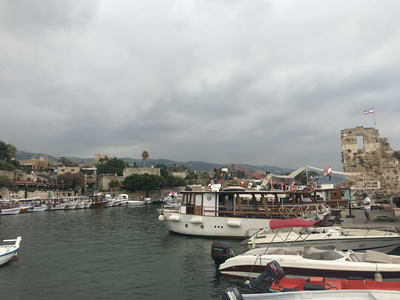 However, Montenegro’s NATO ascension, along with relatively low prices and a pristine Adriatic coastline, has encouraged Western tourists to visit. There are concerns that the tiny medieval towns of Kotor and Perast, now major cruise line destinations, are not equipped for the infrastructure and environmental demands of being port stops for large cruise ships. 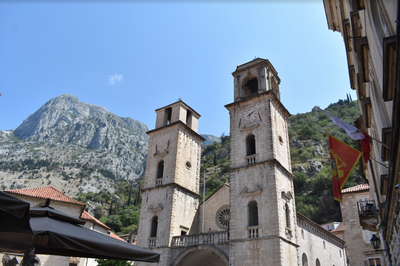 Montenegro is not a large country, and the government will have to use their tourism income wisely in order to meet the demands of increasing volumes tourists while maintaining infrastructure for residents. Over the summer break, I had the opportunity to intern in the Office of the Undersecretary of Defense for Policy (OUSD(P)). I worked in the European and NATO Policy (EUR – NATO Policy) office and focused on Central Europe. 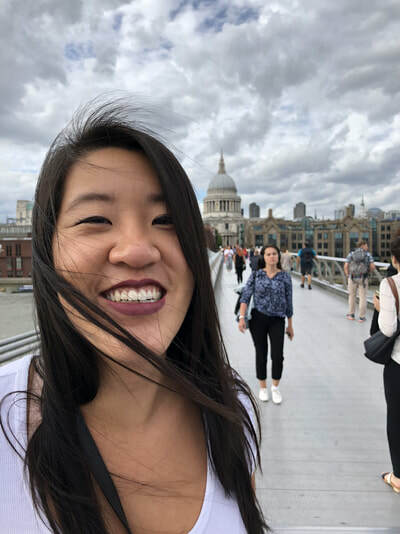 As an intern, I assisted a country director managing political – military relationships, and immediately wrote policy analysis for senior decision makers in a fast paced environment. I learned an early lesson in just how small the Pentagon can be when I crossed paths with Secretary Mattis in the hallway. He complimented my tie (he was wearing a similar tie) and kept moving. The experience underscored how personal interactions drive organizations, and senior leaders are never far away. How does your internship agency contribute to the mission of national security? The Department of Defense (DoD), led by the Secretary of Defense, provides a lethal joint force to defend the United States and sustain influence abroad. Put another way, the Secretary of Defense ensures that the United States operates from a position of strength in national security and foreign policy. Within OUSD(P), EUR – NATO Policy provides the Secretary with responsive, forward-thinking, and insightful policy advice relevant to European bilateral defense relationships and NATO. To accomplish this, EUR – NATO Policy manages day-to-day defense relations with foreign governments and NATO, develops regional security and defense strategies and policy, and oversees defense policy coordination with the interagency. OUSD(P)’s regional experts ensure the Department of Defense can operate effectively worldwide. My career goal is to work in defense policy. This internship provided me an opportunity to experience defense policy, sharpen my skills, and develop an understanding of career opportunities within OUSD(P). 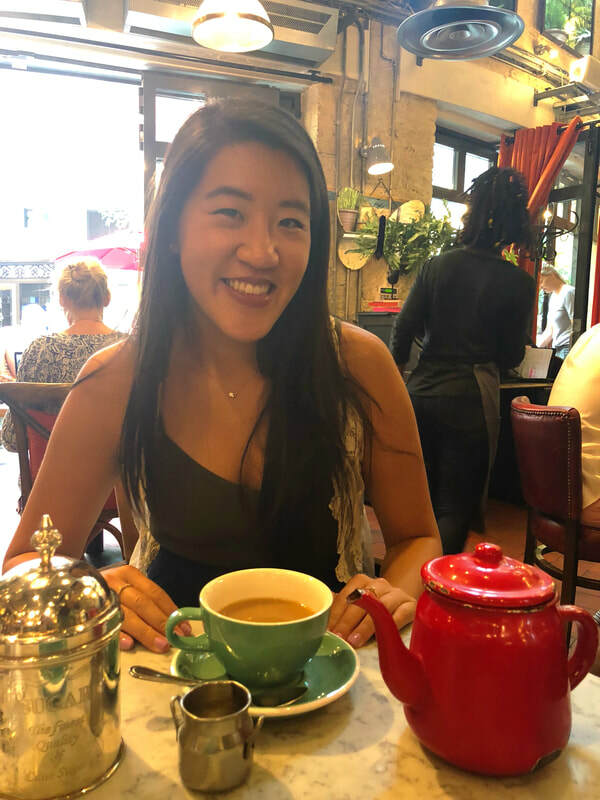 Experiencing defense policy firsthand showed me that my education and experience prepared me well for a career in defense policy, and that it is a career field that I would like to work in. Writing policy memos for senior decision makers and interacting with senior officials from DOD and other agencies sharpened my writing and presentation skills. 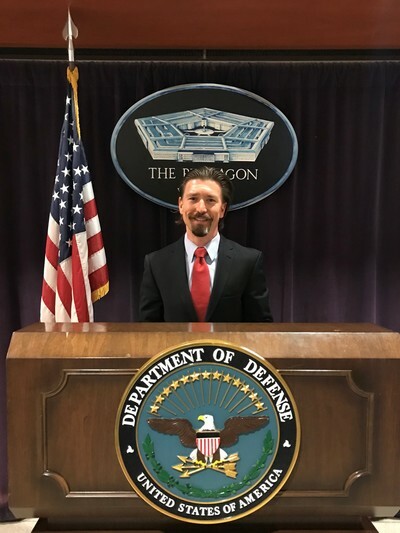 Finally, I was able to develop a deeper understanding of how the components of the Pentagon work, and what career opportunities are available as a policy analyst. What are two interesting things about the Pentagon that the average person doesn’t know? The Pentagon is practically a town unto itself, and has its own variety restaurants, a dedicated metro stop, and even a convenience store to meet the needs of a workforce of more than 20,000 people. A person could go days without leaving the Pentagon! Also, the Pentagon has a great library where employees can access publications through interlibrary loan. This comes in especially handy when trying to get up to speed on multiple countries as a new intern! 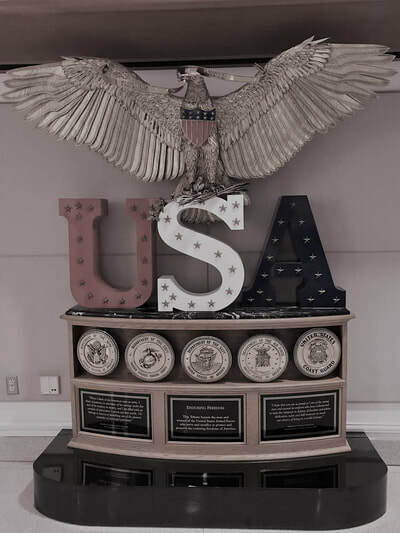 The views expressed in this article are those of the author and do not reflect the official policy or position of Department of Defense or the U.S. Government. 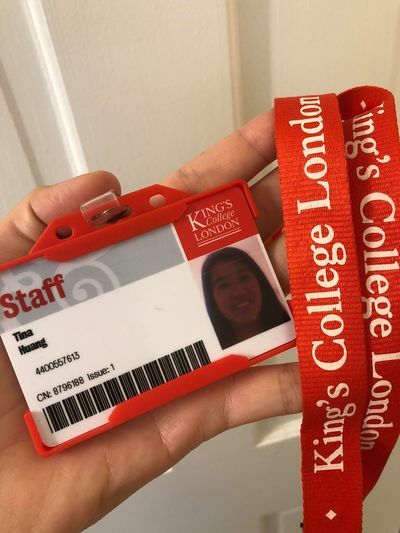 This summer I travelled to London to conduct research with Peter Neumann, Director of the International Centre for the Study of Radicalisation (ICSR) at King’s College. At ICSR, I co-authored a piece with Professor Neumann on how to best counter terrorism financing and assisted with his research regarding the evolving War on Terror after the Trump Administration. I selected to work at ICSR because Peter Neumann is one of the most prominent experts in the area of terrorism and political violence. The opportunity to work alongside Professor Neumann was a fun challenge as I had to learn as quickly as possible to co-author on a topic I previously had little knowledge about. 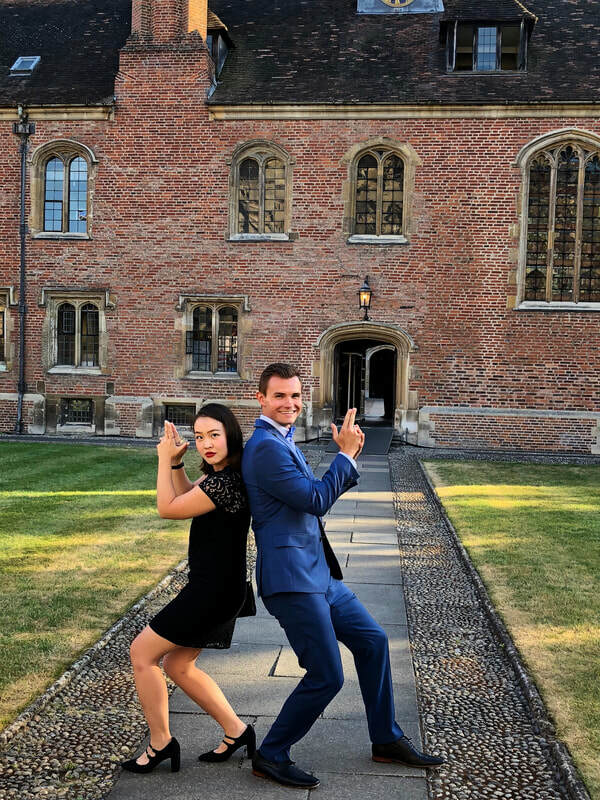 Furthermore, I am concentrating in terrorism at SSP and was attracted to ICSR because of their cutting edge research regarding counterterrorism and countering violent extremism. I wanted to expand my expertise in the field and also wanted to see how a European think tank operates. I found that the research fellows are always actively gathering interviews, compiling data, and analyzing quantitative information to churn out reports every few months. Just a few of their most recent reports include: Foreign Fighters and the Returnee Threat, Women and the ‘Caliphate’, Terrorist Financing, The Crime-Terror Nexus, and more. Upon graduation, I have considered working in CT in Europe. Working at ICSR has allowed me to better understand the European working environment and grow my network within the CT field. I was able to meet with other CT professionals in the area who provided me with advice on how to search for jobs in Europe. Furthermore, working with Professor Neumann was particularly helpful in better understanding the academia career field and whether research and analysis is what I want to pursue. 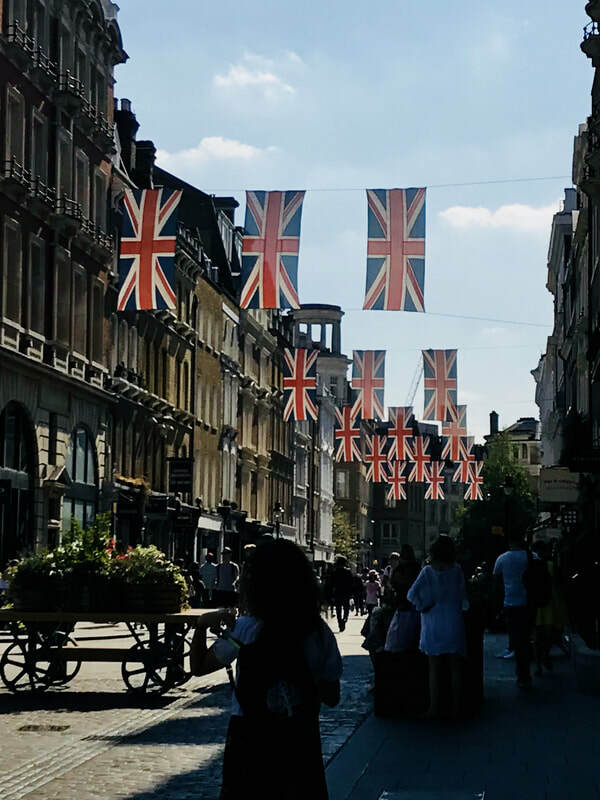 What are two interesting things about the United Kingdom that the average person doesn’t know? One thing that really stood out to me is the UK’s use of CCTV in nearly every single public space. I thought this was interesting because British citizens are being overtly surveilled from stopping your car to allow pedestrians to cross the street to enjoying a beer at a pub. I imagine something like this would receive immense blowback in the US, but the UK boasts about its CCTV because I saw signs on many establishments stating that CCTV was monitoring the area. Another thing, which is more terrorism related, is that the UK government is harshly cracking down on potential terrorists. The difference between counter terrorism in the US and UK is that in the US a person must physically take action that indicates terrorism for law enforcement to arrest them. In the UK, if law enforcement is able to prove that a person has been engaging in extremism material and has the potential to carry out an attack (even though they have not done so yet) law enforcement is able to detain the person. While I was there, I read about a far right wing extremist who was sentenced 4 years in jail for obtaining extremist materials and potential weapons. During the Summer of 2018, I traveled to Egypt and Jordan to observe the practice of jus post bellum in post-conflict societies. In Jordan, I interviewed senior leaders of the Jordanian military on their practice and challenges in implementing ethical end-of-war strategies in conflicts with non-state actors. The project’s interviewees included the Commander of Jordanian Special Forces and the Director of War Operations, Jordanian Armed Forces. In Egypt, I visited local communities and non-profits to either observe or discuss the opportunities and challenges they face in a post-conflict society. The study of Just War theory (JWT) is intellectually interesting to me because of its prominent role in creating norms by which the U.S. often (though not always) enters and conducts its wars. A newer topic of study within JWT is jus post bellum, or the study of how nations ought to end wars. By placing war on a strategic continuum, jus post bellum also acknowledges a dictum taught in SSP, which is that war is never final (whereas traditional JWT differentiates ad bellum/ in bello from post bellum as nearly unrelated components of restrained statecraft). The unresolved nature of U.S. intervention in the Middle East, which focuses less on detailed planning for war’s end, illuminates just how underdeveloped jus post bellum’s role within JWT studies is. Thus, I also wanted to study jus post bellum because of its practical implications for US national security practitioners. I chose to study the practice of jus post bellum in Jordan and Egypt because of the integral role both states also play in the U.S.’s national security strategy in the Middle East, and because of the unique challenges both states face with non-state actors. In both countries, the U.S. works amongst populations whose religious and cultural norms are unfamiliar to us; historically, our lack of understanding of these norms has and continues to adversely affect our ability to achieve strategic aims in the region. This will continue to be the case as the U.S. works with its allies Jordan and Egypt, who deal (particularly) with violent religious ideologies which unfortunately hold sway in pockets of both societies. Through my research, I hope to add to a growing body of literature which seeks to provide grand strategists with a better framework for post-war peace, particularly in the Middle East. During the course of my interviews, senior U.S. and Jordanian government officials repeatedly commented on the necessity and relevance of jus post bellum research for their particular challenges. 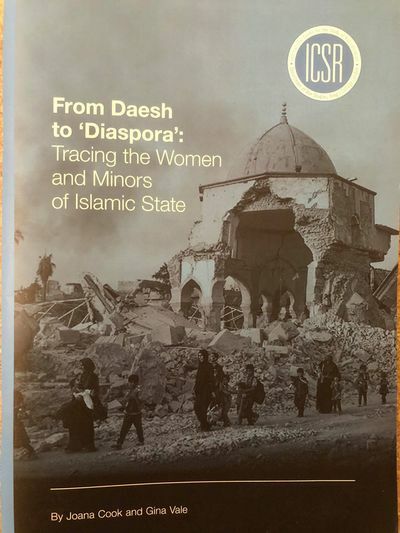 Since my research also covered the application of JWT to non-state actors, the security practitioners with whom I spoke in the Middle East were specifically interested in the outcomes of my project because they (and the international community) still grapple with how to deal with the impact of groups which do not fit into a state-based international system. 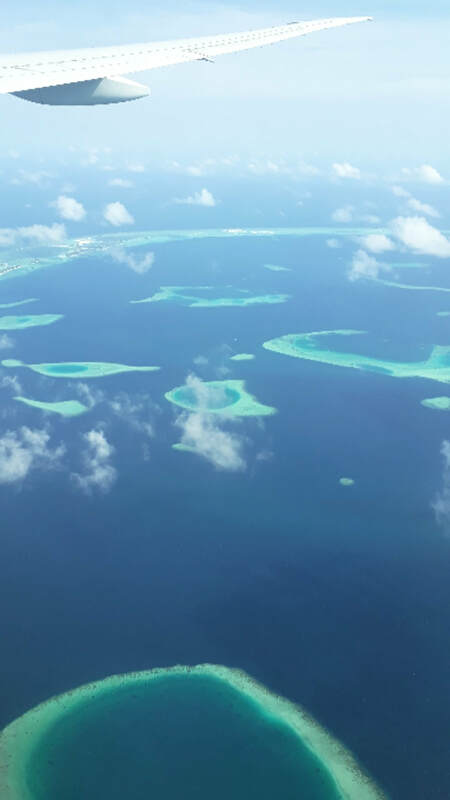 Rarely does one think of religious extremism and threats to free speech while talking about the Indian Ocean archipelago of the Maldives, known popularly for its idyllic white sand beaches and activism in climate change. 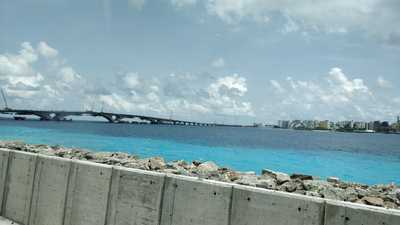 With the coming of the Abdulla Yameen government in 2013, media has been under increasing threat by a nexus of religious radicals and political forces. Repressive measures, including a law criminalizing defamatory speech as “contrary to the tenets of Islam”, have been undertaken to silence journalists, bloggers and activists who speak against political corruption, religious radicalization, and Salafi puritanism. To restrain critical voices, detentions have been common, as have been extralegal abductions and violence. In short, Maldives is a classic tale of politics using religion to quell freedom of speech in its goal for money and power. To research on my project titled ‘Between Fear and Freedom’, I travelled to the Maldives this summer aiming to contextualize issues pertaining freedom of speech and expression in the country. The experience enabled me to interact with numerous journalists, civil society activists, and members of the current opposition political party. It has led me to pen down untold stories of subjugation and bravery of individuals caught in a steady stream of death threats and stalking, making careful choices between self-censorship or remaining vocal. What are two interesting things about country you visited that the average person doesn’t know? To begin with, not many people are aware of the serious issues that media organizations and civil society actors are facing in the Maldives. These issues gradually began in 2013 with the coming of the Abdulla Yameen government and have included deaths of liberal bloggers like Yameen Rasheed, attacks on media houses, revision of laws to erode human rights, imprisonment/exiling of nearly every major opposition political figure as well as members of the judiciary. Furthermore, the Presidential elections are due on 23 September, and most individuals in Male have expressed serious doubts about the possibility of having a free and fair election or any transition of power to the opposition even if the results rightfully demand so. 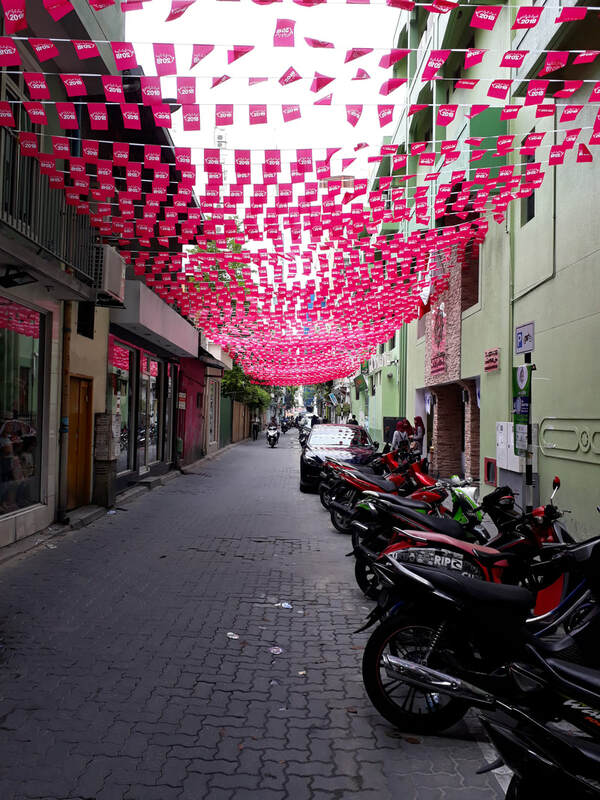 The situation is especially worrisome because for many in Male, the upcoming elections will be a final call on the future of democracy and freedom of speech and expression in the Maldives. In May 2017, when I was working in New Delhi, I met Mr Hussain Rasheed, father of the slain Maldivian blogger, Yameen Rasheed. In my interaction with Mr Rasheed, I not only got a personal account of a victim of the above stated issues, but also a peek into the deeply fragmented political landscape of the Maldives. Ever since I have been personally invested in understanding plus staying informed about developments on this topic. What impact will it have on both you and others? 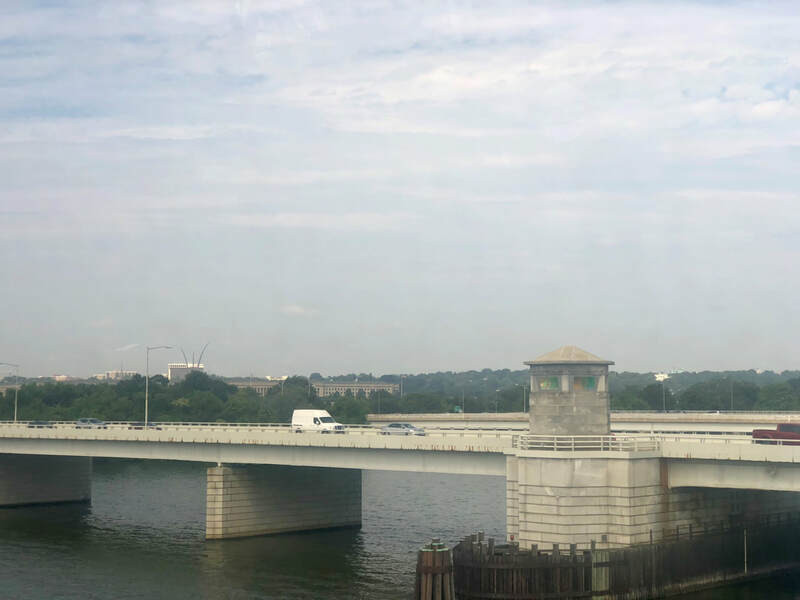 Through my research project, I hope to enlighten the Georgetown community and the world about pressing issues of this archipelago safely tucked away from popular imagination. 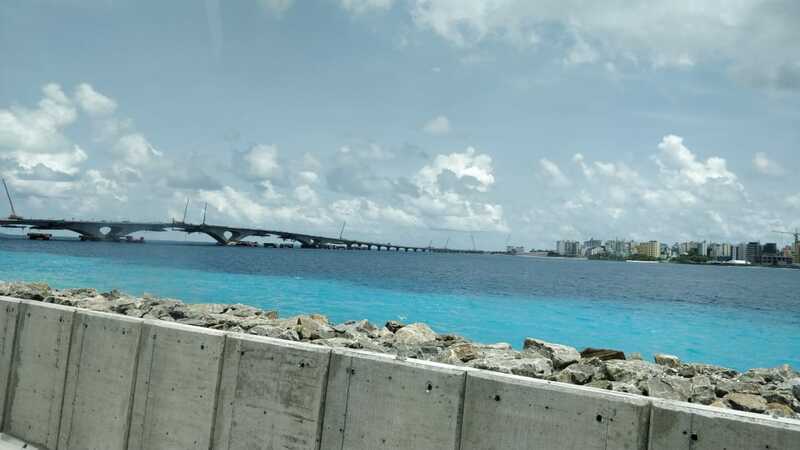 Any success on this front could possibly mean greater international attention on the ill-practices that otherwise are gradually becoming the new norm in the Maldives. This can translate into potentially greater efforts towards ensuring a fair election, a freer space for civil society to express, impacting every single individual living on this archipelago country of a few thousands. For me, a remote success on any of these fronts could mean better sleep at night. 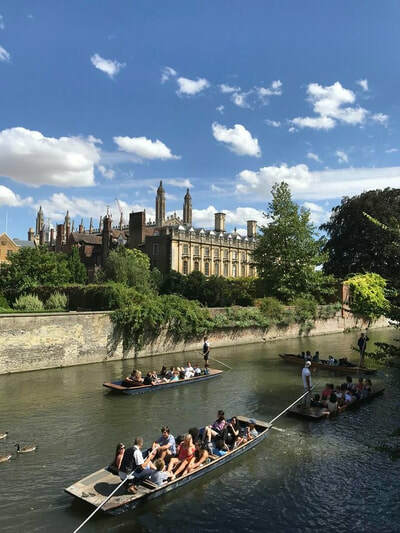 This summer, I was able to enroll in the International Security and Intelligence (ISI) Program at the prestigious University of Cambridge. ISI is a four-week summer academic program that studies international security and intelligence issues through a British perspective. 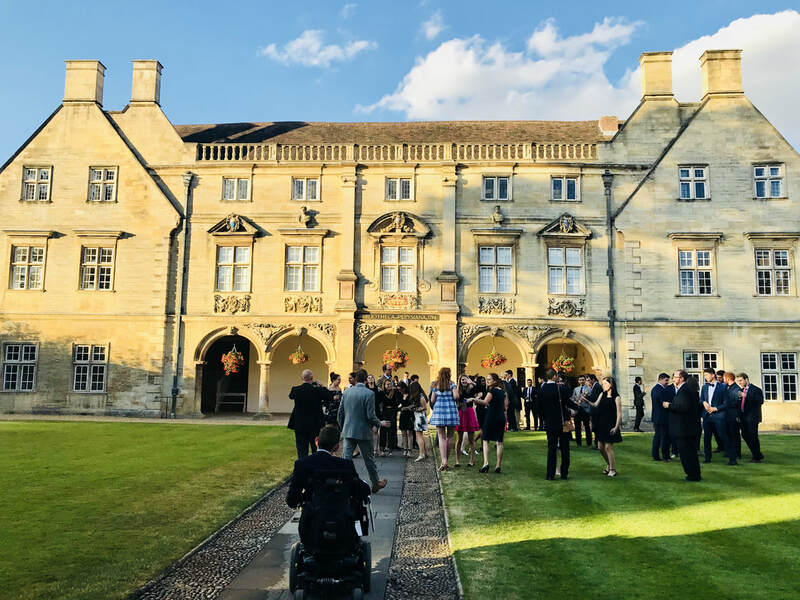 Much like at SSP, the ISI faculty is comprised of acting practitioners, such as the former head of British Secret Intelligence Service, Sir Richard Dearlove and former CIA human intelligence officer and Georgetown alumnus, Dr. David Gioe. The curriculum at ISI was conducted in a unique British teaching style that I found quite refreshing after many years of purely American academic experiences. Why did you choose this particular program? Please be specific. I chose to enroll in the ISI program because I was able to devote my summer to studying the field of intelligence. 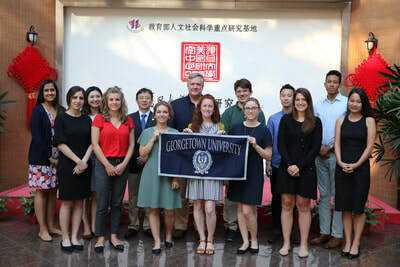 The Security Studies Program at Georgetown University offers a wide variety of unique and challenging courses; but, because I am also pursuing a Certificate in Eurasian, Russian, and Eastern European Studies, I am unable to fully take advantage of the relevant courses that would better position me for a career in intelligence. Now, since I was able to take a wide range of courses, such as the British approach to intelligence, human intelligence practices, and various intelligence case studies, I am now able to devote more of my Georgetown credits towards my certificate and regional interest. In addition to the lectures, seminars, and conferences that are a part of the ISI curriculum, I was required to conduct an independent research project under the personal guidance of a supervising professor. Coming from a family of Ukrainian immigrants, my interests naturally gravitated towards the Ruso-Ukrainian war. After several rounds of review with my supervising professor, my project evolved into a focus on Russia’s new niche military capabilities and how the US and NATO can derive lessons from the war in Ukraine to better prepare themselves for a potential confrontation with Russia. My supervisor was particularly helpful throughout the process as he provided excellent leads and recommendations while also challenging me with constructive criticisms. The program shines a light on an often-underrepresented component of international relations, intelligence. Program professors strive to provide a foundation for the next generation of intelligence officers by analyzing historical international events, such as the Cuban missile crisis, through an intelligence lens. The program also provides necessary clarity on counterintelligence and covert action operations, which often play a more opaque but still vital role in statecraft. In fact, my favorite lecture was conducted by FBI Special Agent Paul Woodbury who outlined in detail the long term counterintelligence operation to arrest Kendall Myers and Ana Montes, Cuban sympathizers, government agents, and some of the most damaging spies in US history. Thanks lectures such as this, emerging professionals such as myself are more capable of contributing to American national security in a professional capacity. 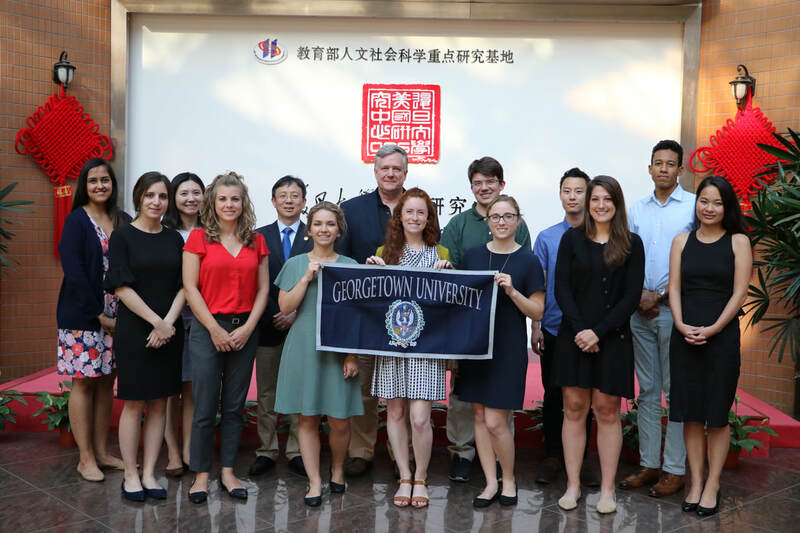 Earlier this summer I participated in the 2018 graduate student delegation to China with the Georgetown Initiative for US-China Dialogueon Global Issues. The Initiative, at the direction of the Office of the Vice President for Global Engagement, is a university platform for research, teaching, and high-level dialogue among American and Chinese leaders from the public sector, business, society and academia that addresses common challenges facing the global community. 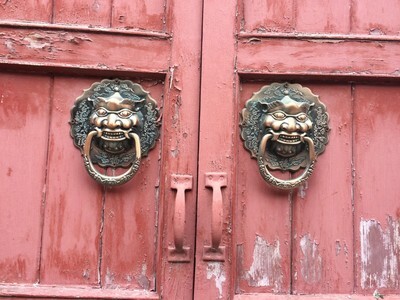 The experience afforded me unique access to a variety of influential Chinese leaders in government, the private sector and educational institutions spanning across three cities in China: Beijing, Xiamen, and Shanghai. 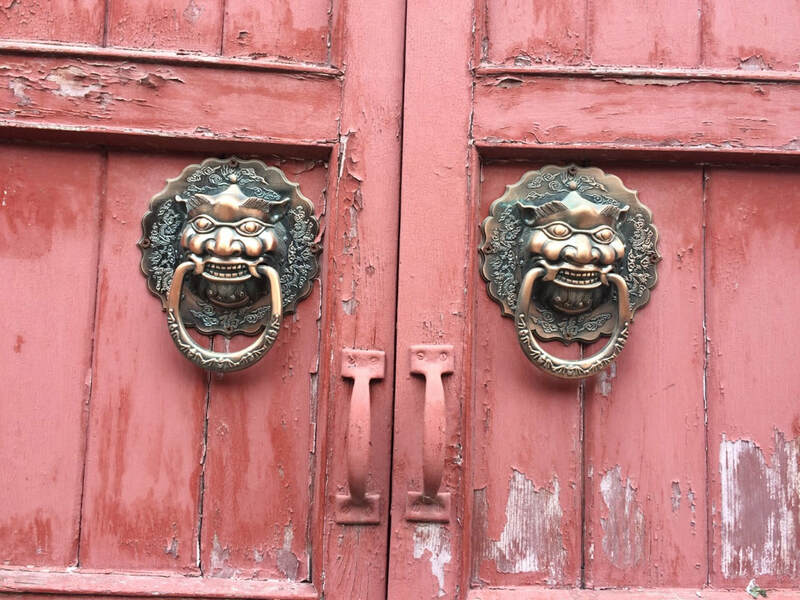 Our tour began in Beijing where we saw many of China’s major historical attractions such as the Great Wall and the Forbidden City. Of our meetings in Beijing, I was most impressed by our interaction with the Office for International Military Cooperation of the Central Military Commission where we enjoyed a frank discussion of the current issues that are of concern to both the U.S. and China. We left with a better understanding of China’s defense policies and posture in the region and beyond. 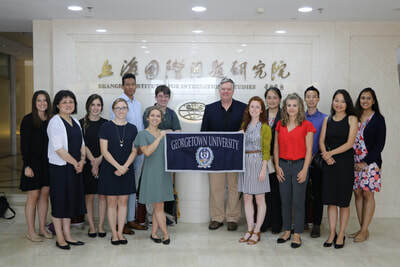 After Beijing we traveled to Xiamen, a southern coastal city where we engaged in a roundtable discussion with faculty and students from Xiamen University’s Graduate Institute for Taiwan Studies. We thenvisited GulangyuIsland and also had the opportunity to take a ferry a mile out from Kinmen Island where Taiwanese forces are posted today. It was a fascinating experience being so close to an island with a long and complicated history. A trip to Xiamen was not complete without the local seafood which we enjoyed greatly. 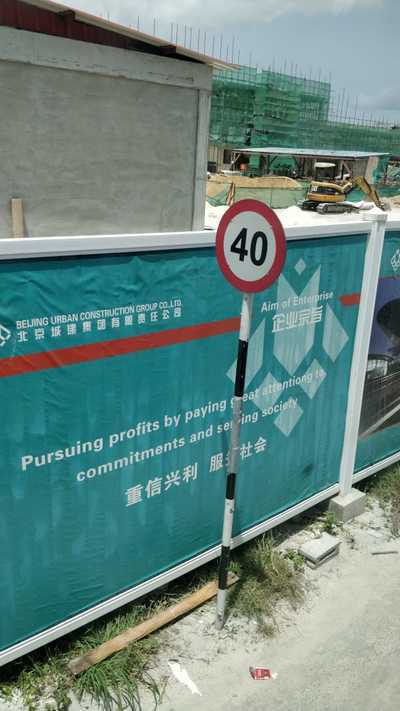 Our tour ended in Shanghai where we saw a modern China grappling with the pressures of urban planning. 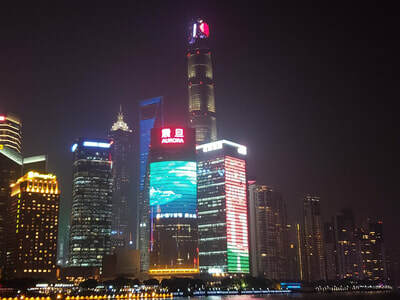 Yet the preserved charm of the Bund along the Huangpu River was a delight to look at from our riverboat cruise. We also had the opportunity to visit the Shanghai Institute for International Studies where we exchanged candid views with one of China’s top think tanks. I will take that experience along with the entire tour to inform my growing understanding of China. 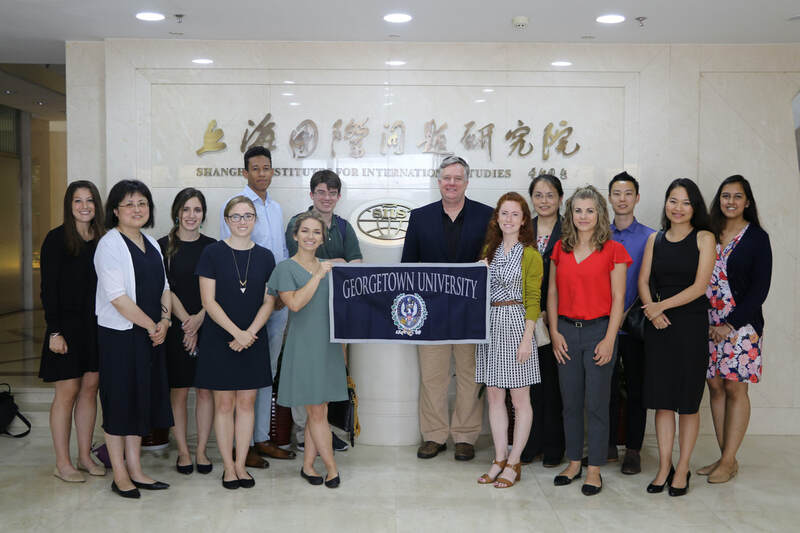 Georgetown has a steeped history with China through the Jesuit Institution and I am privileged to have been part of the latest iteration of that enduring connection between our university and the people of China. This program was of high interest to me as it aligns with my graduate study interests and professional shift to China. I came to SSP after three years of working in Burma on security sector reform for the EU and INGOs. 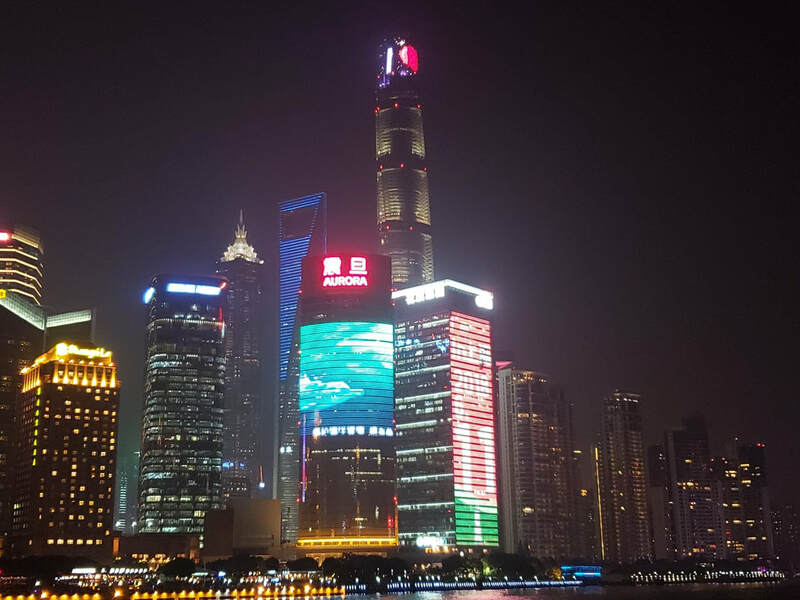 Living in Southeast Asia for three years, I came to appreciate China’s relationship and influence within the region. I wished to better understand a rising China looking to redefine its place in the world, exploring the limits of the current international world order in the context of establishing a “new type of great power relations” in order to fulfil its “China Dream”. This program offered a great opportunity to exchange views with some of the top minds and leaders in China. The Initiative is fulfilling an important role in citizen diplomacy whereby a channel of communication is maintained between the people of two different countries. Student delegations offer unique people-to-people interactions enabling issues to be understood from different perspectives and thereby reducing misunderstandings that may have significant consequences. As identified in our National Security Strategy, our relationship with China going forward will be of increasing significance to my generation. In terms of career objectives, I wish to focus on the Indo-Pacific region with a particular concentration on China. My understanding of China’s growing military, economic and diplomatic power, or as China would term it ‘national comprehensive power’, will be of great importance to analyze the geostrategic developments in the region. This experience coupled with my Chinese-focused coursework and language will help to establish myself in future positions.